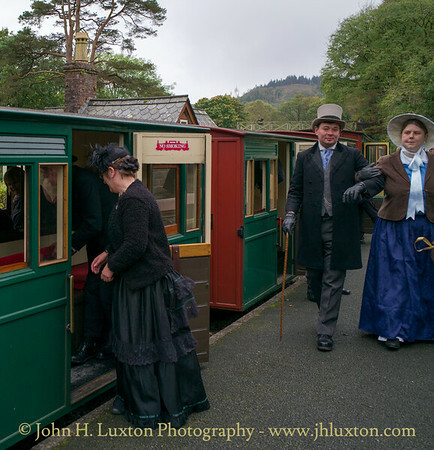 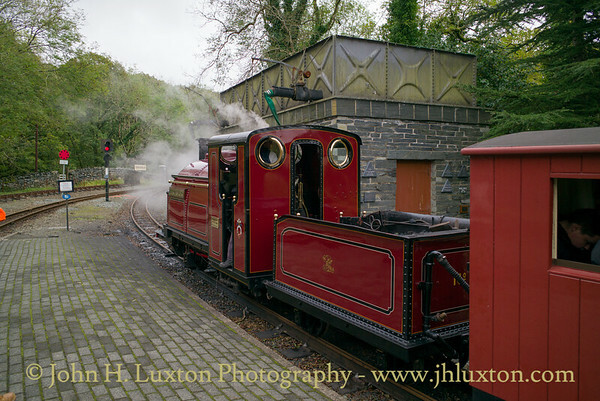 Ffestiniog Railway 2017 - Photographs are shown in reverse chronological order with the most recent shown first. 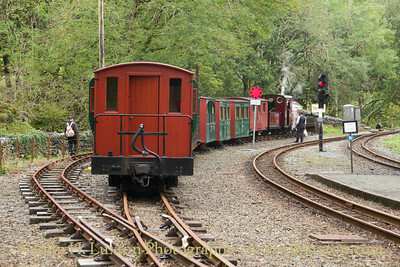 PALMERSTON shunting stock at Tanybwlch from the 14:10 Porthmadog Harbour to Tanybwlch which will form the 17:10 to Porthmadog Harbour. 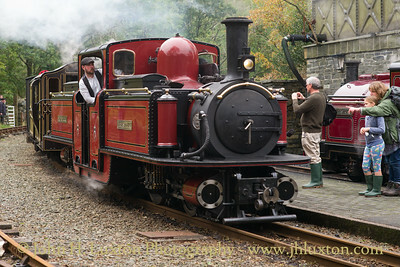 October 08, 2017. 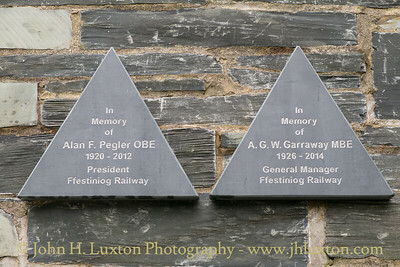 "In Memory of Alan F Pegler OBE 1920 - 2012 President Ffestiniog Railway" "In Memory of AGW Garraway MBE 1926 - 2014 General Manager Ffestiniog Railway" Plaques commemorating the two most influential men in the preservation and restoration of the Ffestiniog Railway mounted on the watertower at Tanybwlch overlooking the Memorial Garden. 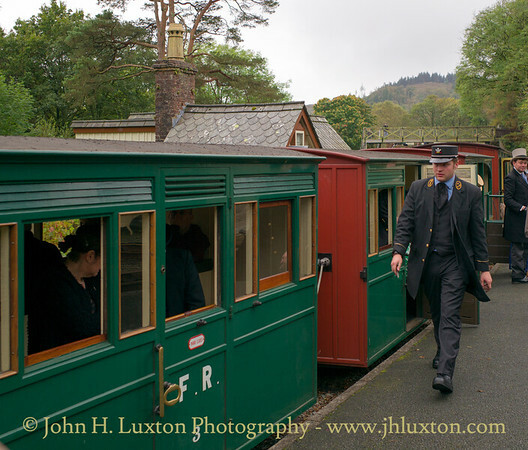 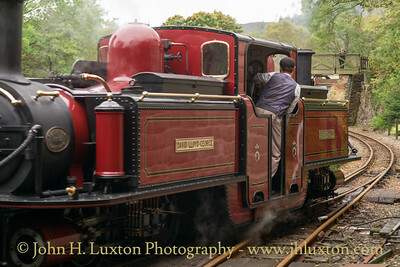 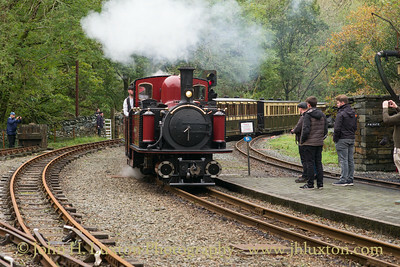 DAVID LLOYD GEORGE at Tanybwlch Station with the 14:25 Blaenau ffestiniog to Porthmadog vintage train. 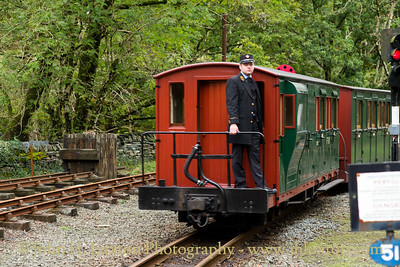 Victorian uniformed guard at Tanybwlch - October 08, 2017. 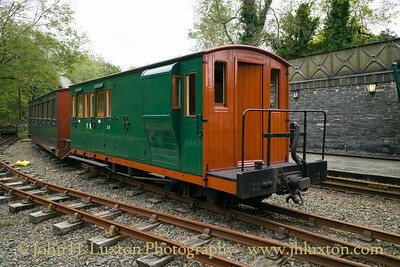 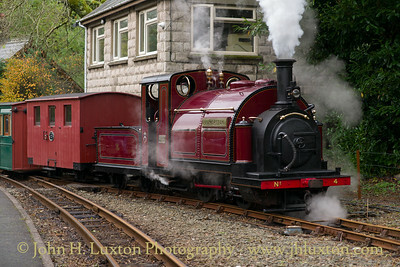 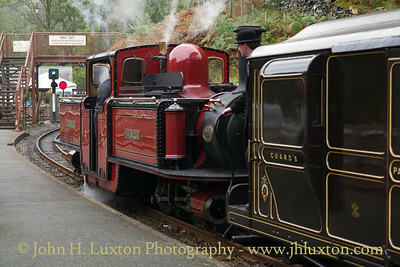 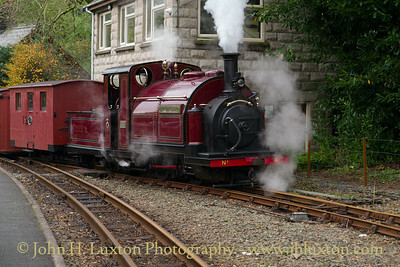 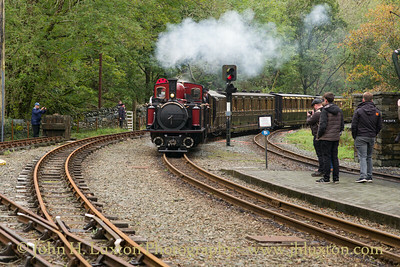 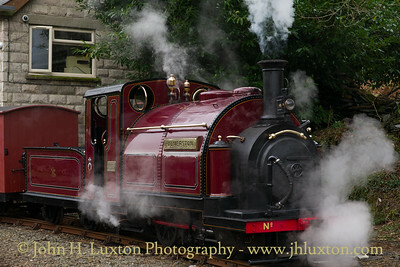 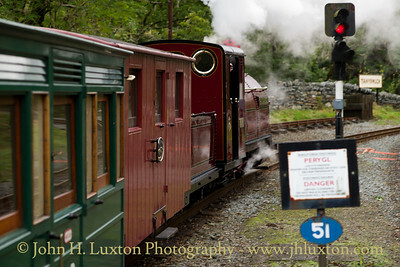 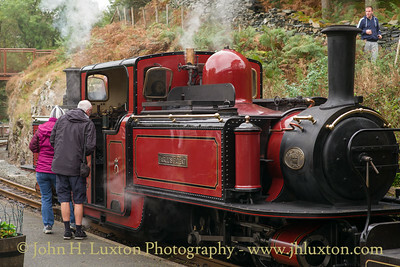 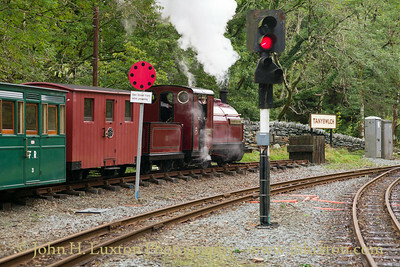 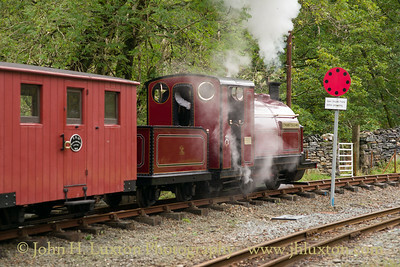 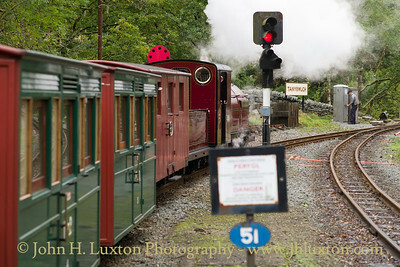 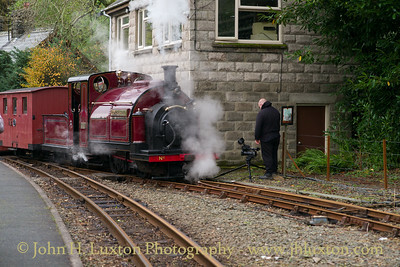 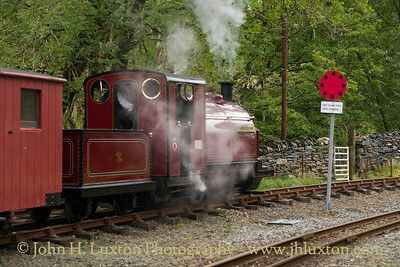 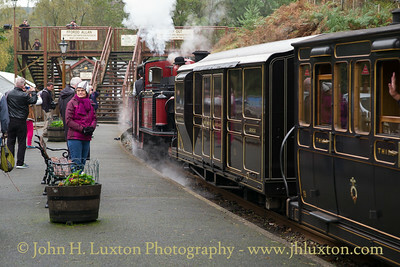 PALMERSTON arrives at Tanybwlch Station with the 14:10 vintage train working from Porthmadog. 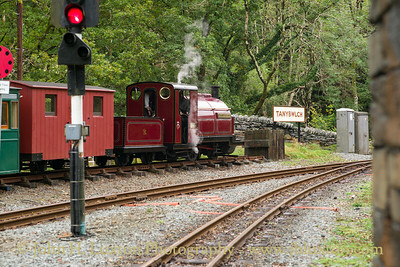 October 08, 2017.